Mowing your lawn seems to be a very divided chore. Some love it and others hate it. Surely there are many reasons that those who love to mow their lawn do. Maybe it’s a nice little workout. Or, perhaps, it is therapeutic on some level to get out and methodically move about your yard cutting your grass. It can also feed really well into your need for a sense of order. Undoubtedly, however; there are those who love to mow their lawn because they have the right tool to do so. That can absolutely make all the difference in the world – and may just sway your opinion and make you a lover of lawn mowing instead of a hater. When you have the best tool for the job, the job becomes much less of a chore, and dare I say, enjoyable! There will certainly still be those who will never learn to love mowing their lawn, and that’s okay. Our goal here is to gear you up appropriately so that it is as good of an experience as possible. Maybe, just maybe, if you have the right tool it’ll be a little more bearable and at the very least, you’ll have a good looking lawn that you will absolutely appreciate day in and day out! Sure, you could hire someone to do your lawn but that costs money and takes it out of your control. Here are some of the best solutions, that can cater to whatever specific need you have, to mowing your lawn. This is a great lawn mower if you have a small lawn. It is corded which, as long as your yard is small, means unlimited power. It has a 20-inch steel deck and a 12 Amp Motor. The back wheels are a little bigger than the front wheels for maximum push and movability. It has foldable handles for compact storage because odds are good that if you have a small lawn, there is a chance you have a home with not a ton of storage. It also comes with a 4-year warranty should it not function as it is supposed to after purchase. In addition, it is a very easy, push start mower. This lawn mower offers 3 in 1 capabilities. You can have a rear bag to collect grass clippings, it can simply discharge on the side, or it also has mulching capabilities. This will ensure that all of your lawn mowing needs are met, whatever they may be. You have to option to stick with one or switch it up at will. There is nothing quite like a multi functional purchase. Greenworks makes this lawn mower with 7 different height adjustments for the blade. What that means for you is that you’ll get the best cut for your grass no matter what you’re looking for. The wide range spans from 1 ½” to 3 ¾”. This allows you to get a closer cut of grass that needs it but allows a little more room if you want or need to keep your grass just a little longer. As this is a lawn mower, be prepared to spend money on it. Because it is corded and meant for smaller areas, it is significantly cheaper than others that you can find. You’ll still be spending a good amount of money, but this is a quality lawn mower that will serve you for a long time with the proper care. It’s got a lot of power all things considered and will eliminate the hassle you get with a gasoline mower. Overall, it’s a great buy for a great product. 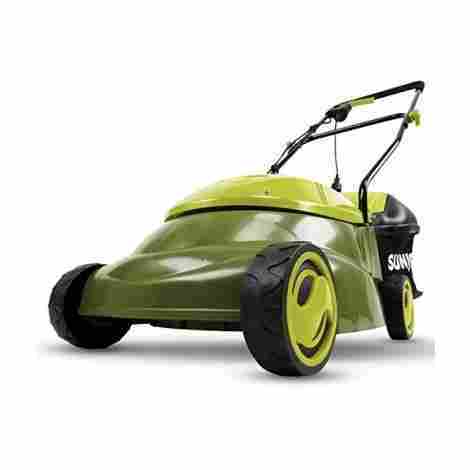 This Sun Joe Mow Joe Lawn Mower makes our best list for several reasons. First off, it is advertised as a “lean, mean, and green mowing machine”. It is compact, lightweight, and easy to store. It gets the job done and is able to fit into small spaces. 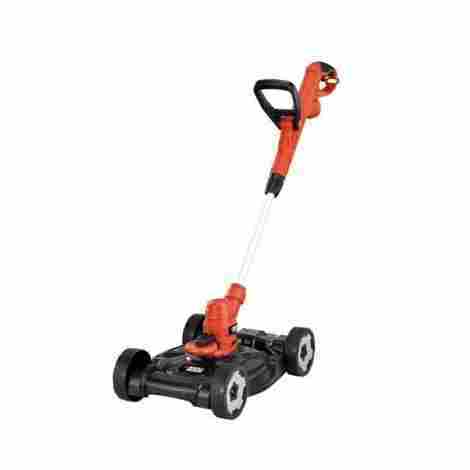 It is a corded mower and can be used with a minimum 14 gauge extension cord that is up to 100 feet long. It starts easily and instantly and includes a detachable bag. Because it is a corded electric lawn mower, it is very easy to maintain. There is no need to worry about gas, oil, or tune-ups. There is far less interior cleaning required on a mower that uses only electricity. Electric mowers also work to reduce atmospheric pollution by reducing the carbon footprint. It will start with simply the push of a button but does also include a safety switch to prevent accidental starting by you or your children. This lawn mower features a 12 amp motor that is surprisingly powerful. It will mow your lawn beautifully with little noticeable difference from a gas mower as long as you maintain it regularly. It will mow your grass in one pass without the need to go over it again. The blade has three height adjustments so that you can customize your mow a little bit as well. This lawn mower comes to you at a very cheap price. It is one of the least expensive on our list. Sure, it may not be quite as powerful or fancy as others on the list, but it gets the job done and does it well. With proper care, it will last you for a long time and prove that it is well worth the money that you spend on it. 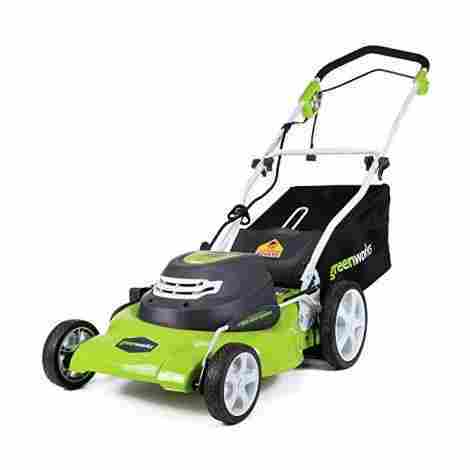 This Greenworks lawn mower is a great buy. It is a battery powered motor and comes with two different sized, multi-use, batteries and a charger. It is great for a midsized yard. It has an easily maneuverable 20-inch deck that strikes the perfect balance between the ability to do the job quickly and ability to get into small spaces. Also featured on this mower are dual blades to give you a better cut and the ability to side bag or mulch. Like the other Greenworks lawn mower on this list, this one also features 7-inch front wheels and 10-inch rear wheels. This helps to make pushing and maneuvering this mower all over your lawn a breeze, or at least as much of a breeze as is possible while mowing your lawn. The 10-inch wheels make pushing a lot easier than smaller rear wheels do. You will absolutely appreciate this every time you go out to mow. As one of the best lawn mowers featured on our list, this mower comes with twin force batteries. What that translates to is that when you are out mowing your lawn and the battery drains, it will automatically switch right over without you having to do anything and in some cases not even noticing. This will allow you to get more done in one go with up to 70 minutes of mow time before it needs charging again. It also features an onboard battery life timer if you are curious how much time you have left. This is definitely a pricey mower. However; if you have more than a small yard - even up to half an acre - you’ll appreciate having a mower with just a little more power. This mower gives you the ability to mow your whole yard in one go, is easily maneuverable, is quieter and better for the environment than a gas mower, and works for decent sized yards as it doesn’t require a cord. 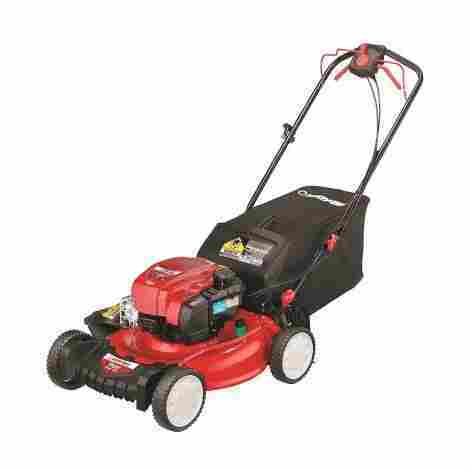 If you are looking for any of that sort of functionality, this mower will absolutely fit your purposes and be a good purchase for the money you shell out. This lawn mower is a very functional little tool that allows you all the variability that you could possibly want. It is a 3-in-1 trimmer, edger, and mower. That means as long as you have a small yard, this is the only tool you will need in order to care for it. That means less money spent, less space taken up, and more bang for your buck. It also gives the option of corded or cordless. It will work hard and surpass your expectations. This lawn mower will meet all your needs. You can start with mowing the bulk of your small lawn, then you can quickly take it off the wheelbase with an easy release and reattach foot pedal and trim around areas that the mower can’t get to. Finally, you can edge around your sidewalks and anywhere else that may need a final touch. This multipurpose lawn mower is hardy, can take a lot, and will last you a long time. Because of its small size, this lawn mower is exceptionally easy to maneuver. It is quite similar to pushing a vacuum, in fact. It is small and lightweight and, as such, is easy to push around - you can do so with one hand should you choose. It even gives a better sense of a vacuum if you get the corded version, ha! This is a very handy little tool to have if you have a small yard. It isn’t the biggest, most powerful mower by a long shot, but it isn’t meant to be. If you go into it with that expectation you’ll be very happy with what you get. The combination of three landscaping tools in one is hard to beat and will save you a lot of money. On top of that, it is one of the cheapest on the list anyway. If you have a small yard and don’t need anything too powerful, this is the perfect lawn mower for you to get and you’ll happily replace it when it has given all it’s got after several years of use. This Push Reel Lawn Mower is a very traditional lawn mower. In fact, it's designed is almost exactly that of what they used 120 years ago. 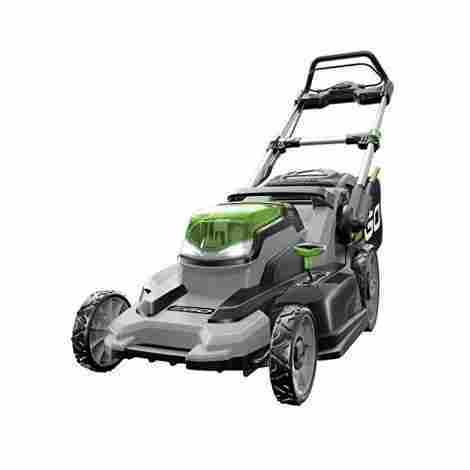 This mower features a 3 spider 5 blade design that snips the grass as you push it. It’s easy to use, lightweight, and small which means easy storage. The height is adjustable and a hard enamel finish helps to prevent the steel from rusting. If you are going to be out pushing a lawnmower around your backyard, you might as well be it’s entire power source. At least that is part of the concept behind this Reel Lawn Mower. You will never have to worry about a power cord, gas, or running out of batteries. You simply push and it goes, every single time. This is the original style of the lawn mower and not much has changed in the last 120 years except the quality of the material. Why fix something that isn’t broken, right? Plus, you get a good workout to boot. It’s good for you and your lawn. While not everyone takes the time to think about what their lawn mower is doing to the grass and how the grass feels when you whack at it with a blade, some do, especially, Great States Push Reel Lawn Mower Company. This lawnmower simply snips the grass much like scissors would leaving it clean cut and ready cut and ready to go again. A regular bladed lawn mower rips the grass, leaving it opened and exposed. You will have a healthier and greener lawn when you use a Reel Push Mower. As a side note, it’s also healthier for the environment. While at first, it may seem that this mower should cost a little less than it’s engine powered counterparts, it does ring at about the same price as some of the cheaper options. This makes sense though when you think about it as they need to have quality, high functioning blades that are much more intricate than others. It is completely made out of steel and rust resistant to boot. Overall, your grass will still get a cut as good as if you had a motor and you may save a few dollars initially but more as time goes on and you don’t have to fuel or maintain this mower nearly as much. Good quality for a good cost. All power comes from you! If you are looking for the luxury car version of a lawn mower, this Honda may be it. It is self-propelled and is fast enough that it may have you running to keep up with it. It starts on the first pull more often than not and is fuel efficient. It comes with everything it needs and no additional parts are needed. All you need is gas to get it up and running. It’s solid, but not too heavy and will last you many years as long as you take good care of it. As mentioned earlier this lawn mower is self-propelled and will have you chasing it in order to keep up with is. The good news is that it also offers variable speeds. If you are someone who likes to multitask and workout while mowing your lawn, then you can have it on a fast setting and cruise right through it at a decently quick pace. On the other hand, if you are someone who prefers to take it easy and not rush things, there is a slower setting for you that will allow you to enjoy your time mowing the lawn, not rush through it. An awesome feature on this lawn mower is the twin blades. This allows for a closer, more precise cut and vastly improves your mulching ability. You will be able to get a micro-mulch that you hardly even notice. If you have been running a mower with only a single blade, the improvement of a twin blade will blow your mind. When you are getting the luxury vehicle of lawn mowers, you should expect to pay for it. This is one of the most expensive mowers on our list, but with good reason. You’ll not find many people who complain about how terrible their Mercedes is and the same is true here. Nearly everyone who has ever owned this mower loves it. It lasts forever and keeps its high quality throughout all of the years you’ll have it. It is expensive, but it is absolutely worth every single penny. This Snapper Lawn Mower is a battery powered electric mower that is meant to truly be the equivalent of a gas mower. It is an equal, nothing less. It is self-propelled, energy efficient, and has quick charging batteries. It comes with two batteries and the life of one is long enough for the battery of the other to charge while you are using the original one making transitioning quick and seamless. This lawn mower comes equipped with load sensing technology. What that means for you is that it is able to adjust the power based on the terrain it is cutting through, While ultimately that means you use up your battery quicker, it also means that you don’t get an interruption or worse lawn mowing capacity when you are trying to cut through a particularly thick bunch of weeds. You’ll keep on going without slowing down which is a big perk. Unlike other electric motors on this list, the Snapper lawn mower is self-propelled. It’ll most itself forward and all you have to do is follow it. The ability to do this is something you will appreciate every time you mow the lawn and dare I say, make it almost enjoyable for you. 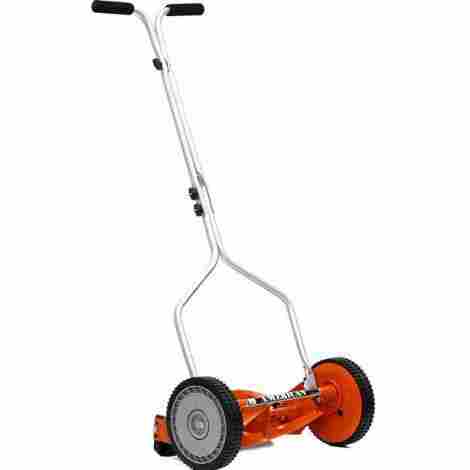 You won’t be struggling to push this mower uphill or through thick chunks like you would a standard electric mower. It’ll help you out when the going gets tough, ultimately making it a little less rough for you. This Snapper lawn mower ties for the most expensive mower on the list. The ability to self-propel steps any lawn mower’s game up and also their price. For some, the lack of this feature is a deal breaker and there is not a moment’s hesitation when spending the extra money it costs to get a self-propelled mower. It works great and is high quality. Taking all things into account, this mower really does live up to its price tag and won’t have you second-guessing your purchase once it arrives. This is another self-propelled lawn mower. There is a good reason that there are several listed in our best lawn mower list - they are a large part of what makes these lawn mowers the best! This Troy-Bilt features a sturdy engine, mulching, bagging, or side discharge capabilities, and easily adjusted handle and durable 8x8 wheels. It also features an adjustable deck with 6 different height options. It’s hard to go wrong with such a powerful engine in your lawn mower. You can rest easy knowing that it’ll stand up to almost anything that you can throw at it. Of note, it also includes a ReadyStart system that does all of the hard work for you. It senses the engine temperature and ensures that you get just the right mix of fuel and air to go with it. There is no need to prime the engine and all you have to do is pull the cord once and it’ll start right up for you. In addition, the tank is large enough to last through your whole mow. A fancy-pants lawn mower is not really any good if you are incredibly uncomfortable while trying to mow your lawn. If you are going to spend a good amount of money on a self-propelled lawn mower, you shouldn’t have to crouch down or hold your hands at a funny angle. Fret not, Troy-Bilt assessed that situation and prevents any problems by including an ergo-adjustable handle. There is even a fix for when the self-propel mechanism starts to loosen over time included on the handle. This is yet another top of the line lawn mower with a top of the line price tag. It is a very well built, functional lawn mower that will serve you well for a long time if properly taken care of. You’ll get a better, quicker cut with less effort from you because of the blades and the self-propel mechanism. If you have a lot of yards or a hilly yard, a lawn mower of this caliber is a must and you will not ever second guess spending the money that you did on this mower. If, however; you have a tiny yard, you probably won’t want to get this much mower and would do better saving your money. This is another battery powered Lawn Mower that delivers the quality of a gas mower without the noise, fumes, or stress that come with either of those two. It features a 20-inch deck which means less back and forth for you and also includes 3-in-1 functionality for mulching, bagging, or using the side discharge chute. 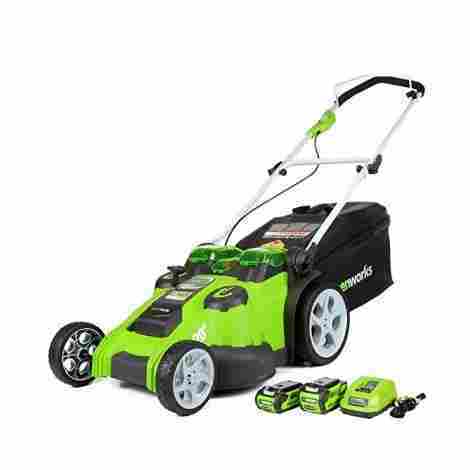 It also features a powerful 600W motor which will ensure you have a good experience every time you go out to mow your lawn. A unique feature on this mower is the inclusion of LED headlights. This gives you much greater functionality and allows you to mow whenever you want. Did you get home late from work and had a million other things to do and didn’t get around to mowing the lawn like you planned on? No problem with this mower, you can mow when it’s dark if you choose! Is it hot as hot during the summer months where you live and you can’t bear the thought of mowing your lawn in the middle of the day? No problem. You can mow late at night or early in the morning thank the lights on this lawn mower and its low noise level. This lawn mower is easily folded in half in no time flat. It is easy to fold and unfold and it can be stored flat, or on end to minimize the amount of space it takes up and maximize your storage efficiency. No taking up a ton of real estate here. Its small, folded up the size will leave you the ability to store other things that you need to, but get quick access to it without having to fight to unfold it. Because of its similarity to gas functioning, it is priced similarly. You get a lot of lawn mower for your money here, but it is well spent. This lawn mower offers a powerful mow that will cut your grass quickly and effectively without too much work on your part. It also gives you the freedom to mow when you choose and not have to rely on the sunlight for power. Overall, this is an expensive lawn mower but your money is well spent. If you need something to mow a lot of tough grass, then definitely put this one on your list to consider. Here is another no carbon footprint lawn mower. It is a manual mower meaning no cord, battery, or gas needed. Only you! 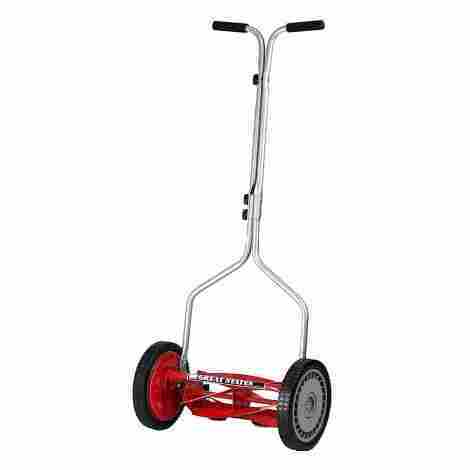 This particular model is 14 inches wide and has 4 blades to help make your lawn mowing experience very reasonable. It is perfect if you have a small yard and are concerned about the environment. You’ll find a lot of functionality with this little mower and have a green, healthy, well-mowed lawn to boot. A rotary lawn mower offers a lot of safety features that others can’t hold a candle to. It doesn’t get hot and thus doesn’t burn your hand (or your toddlers!) if for some reason it gets touched. It is quiet and won’t scare your dogs out nearly as much. No fumes, no hassle, no worries. As an added bonus, it doesn’t throw sticks or rocks or anything like that. It simply cuts your grass. Do be warned that you’ll have to get sticks out of the blades if you do chance to run over one though. This lawn mower is lightweight and maneuverable. It is easily worked with one hand so you can use your other hand to hold something if you want or need. Because it doesn’t have a motor to fuss with, it also doesn’t carry that added weight. It rings in at only 19 pounds, in fact! It is slimmer than other models which can be a pro and a con but does end up making it easier to get into small spaces. This lawn mower comes at a fairly inexpensive price. It is a manual, rotary motor so you provide all the power behind it, so the price makes sense. The blades are sharp and will successfully snip your grass whenever you want them to. It is a solid, quality little tool that you will appreciate if low carbon footprint and working out while mowing the lawn are your thing. It’s a good value for its price and you will definitely appreciate having it. A good lawn mower can make or break your landscaping experience. It can be the difference between doing it yourself or hiring it out to someone else. If that is something you’d like to avoid at all costs (no pun intended) then buying your own landscaping tools is an absolute must. There are specific tools that will fit every need – big yard, small yard, bumpy yard, hilly yard, you get the picture. One of those tools, perhaps the biggest most important tool you have to buy is a lawnmower. But, how do you go about choosing? There are so many things to consider. What type of lawnmower do you want? Do you want it to be gas, corded, battery powered, or man-powered? What type of grass are you looking for it to cut and how much of that grass do you have? Do you even want to mess around with a push mower and go straight to a riding lawnmower? Let us break each category down a little bit so that you can really choose the mower that will fit your need the best. How Much Yard Do You Have? The very first and most important thing to consider when you are buying a lawnmower is how much lawn do you have? Is your yard tiny with minimal grass? Is it an acre and flat and grassy throughout? Or does it fall somewhere in between? There are mowers for each option and some that can be versatile enough to satisfy different needs. Let’s start at a tiny yard and work our way up. If you have a tiny yard, your needs are different than those with a large yard. You don’t need a big, fancy, self-propelled mower. It just wouldn’t make sense for that type of yard. You would be looking more for a corded option. Or perhaps the 3-in-1 Black and Decker that features a mower, edger, and trimmer. That one satisfies all of your lawn care needs in one inexpensive purchase. Another good option here is a rotary mower. There isn’t a ton of lawn to mow so it wouldn’t be a big deal to have to manually make the effort throughout the entire yard. Working our way up, let’s focus on a midsized lawn. Here you’d be looking for something that will work a little harder and last a little longer if you went the battery-powered route, which is a good option here. You may or may not want a self-propelled option since you don’t have too much lawn to mow. But, it would certainly be an appreciated feature if you wanted to spend the extra money. Perhaps you have a yard that is small enough to cover with a 100-foot extension cord plugged into your corded mower. That’s a good option and will still give you substantial power. Battery powered gives you a little more freedom to move around and is a better option if you are going farther than an extension cord would reach. Another feasible option here, is a Rotary mower, though it would prove more of a workout here than it would on a small lawn – which isn’t necessarily a bad thing. What about yards around ½ an acre or bigger? You’ll definitely want a self-propelled mower. It’s without a doubt a good use of your money and you will appreciate having spent the extra cash every time you go out to mow your lawn. That makes the question here then more one or do you want a gas mower or a battery powered mower? We’ll dive into that a lot more in the following section. Lastly, what if you have a yard that is an acre or larger? Once you are getting into that kind of territory, you’ll want to have either a good self-propelled option if you’ve got a lot of energy and umph or a riding lawn mower if not. To be honest, you’d be well served to have a couple different options because that amount of lawn is very likely to have bumpy areas, difficult to reach areas or needs that simply won’t be satisfied with a push mower. Push mowers are all that we review here, so be sure to check out the list above to find the one that will best suit your needs there. What is the makeup of your lawn? Is it one that will require different mowing heights? Do you have areas that need to be shorter and also have ones that you want to be longer? Good news! All of your height needs can and should be able to be met by one mower. Most of them on this list has several different height options, in some cases up to 7 different options. Now, the question is do you need that much variability or are you okay with simply a long and short option? Even the cheapest on this list will give you two options. If you have different types of grass, or like your backyard to be longer than the front or vice versa, you would be well served to get one with several different options. That will give you the best ability to choose and really learn how you like your lawn to look. Gas vs. Battery Powered vs. Corded vs. Manual? Do you want a gas mower, a battery-powered mower, a corded mower, or a rotary (manual) mower? This is the ultimate question when buying a lawnmower and your options can vary greatly depending on your choice. Gas mowers tend to be among the elite of mowers, and their price reflects that. 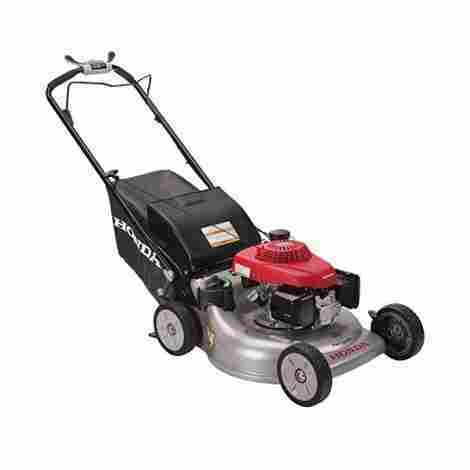 Gas mowers are usually self-propelled which is incredibly helpful when you are looking to mow a lot of lawn. They are powerful, arguably the most powerful of any type of mower. Gas mowers can easily cut through thick, tough grass. They won’t lose power throughout your entire mow and odds are good that you won’t have to stop to refuel unless you have a very large yard, we are talking huge here. Most of the newer varieties are one or two pull to start and don’t take a ton of effort like they used to. Most are quite fuel efficient and overall they seem to last longer than electric mowers. There are cons to gas mowers; however. The maintenance list is pretty long. You have to check spark plugs, change filters, and make sure that you always have the right gas on hand so you don’t run out. They are louder than other types of mowers and typically heavier. So what about an Electric mower? We are going to break electric mowers down into two categories – corded vs. battery powered. First off, let’s talk about corded mowers. It will seem a lot like you are vacuuming your backyard. You will get a lot of power as long as you use the right size extension cord. They’re typically cheaper and don’t require too much maintenance. Simply clean them off when you’re done and move on with your life. They are typically quieter and lightweight. Corded models are usually a little cheaper, but also may not handle thick grass as well as a gas mower or Battery powered model could. However; using a cord limits your mobility. You will constantly be dodging said cord and can only go as far out as it is long. That’s not an issue for smaller yards but definitely becomes on the bigger your yard gets. What about battery powered varieties of lawn mowers? Right off the bat, a battery seems like a terrible idea, but really these make very functional and powerful mowers. Many battery powered lawn mowers are also self-propelled and feel very similar in power to a gas mower. They’ll cut through any type of grass with seeming ease and offer all the pros of an electric mower – fewer carbon emissions, no spark plugs, no filters, no gas. Most batteries these days are pretty solid and will last up to 90 minutes in some cases. This decreases the more complicated a job gets and depending on the model. However; most models will come with a couple batteries and said the battery will charge completely in less time than it takes to drain the other one. Downfalls of this type of lawn mower include dying mid-mow, having to change out a battery, needing to avoid water, and they tend to be among the most expensive. Lastly, what about the good ole’ rotary mowers? They are the original mower and are still surprisingly popular today and for good reason. They snip the grass instead of shearing it, which is arguably better for the grass as a whole. They are inexpensive and virtually noiseless as all you hear is the scissor action happening on your grass. They are small, lightweight, and incredibly easy to store. Because they are completely man-powered they’ll always start as long as you want them to and you will get a good workout to boot – which can be a good or a bad thing depending on how you personally feel about the situation. Cons on this type of mower include complete inability to handle sticks (twigs! ), they struggle on really thick or overgrown grass, and you’ll likely get a lot of funny looks as people are more likely to think this type of mower is unusual. A final, and often make it or break it, part of your decision is how much are you looking to spend? The lawn mowers on this list span a wide array of prices. They are all included on our best list for a reason – people love all of these mowers. Obviously the more you spend the fancier your lawn mower is going to be. But, you may not need or want fancy. Ultimately, your best bet will be to weigh all of your considerations and make a decision that best fits your lifestyle, yard, and financial situation. You will surely be pleased with your choice as long as you keep your expectations in check. 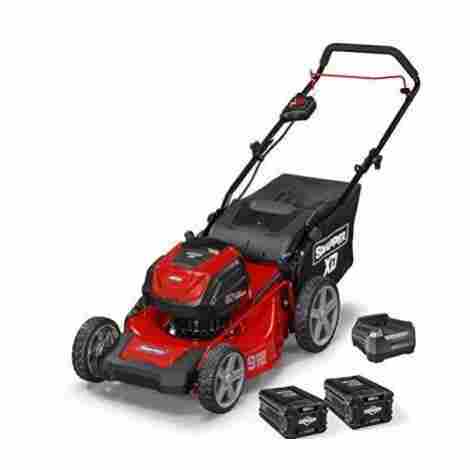 Don’t expect a $75 mower to have as much power and function as a $400 lawn mower. Q: Is this lawn mower self-propelled? A: Some are. Those ones are typically gas or battery powered and cost a lot more than others. It will be listed in the description for the mower. Q: How much does this lawn mower weigh? A: It varies greatly. Generally speaking the more mower you get, the heavier it is. Gas options are the heaviest with some electric or rotary mowers as light as 19 pounds. Q: Can you mow without the mulch or rear bag attachment? A: Generally speaking, yes. It will simply shoot out the side chute or behind. It may not be a safe option if you have a lot of sticks or rocks. Q: Does this lawn mower mulch? A: Mot do just be sure to look for 3-in-1 functionality and you should be set. A: It varies depending on the model, but generally the fancier the mower is the fancier it’s wheels will be. Q: How long does the battery last on my mower? A: It largely depends on the specific battery and how hard you are asking it to work. All listed on this list will last at least 30 minutes. Q: Is it powerful enough to cut tall grass? A: Your best options for tall grass are gas powered or battery powered. Others will work, but you’ll have to work a lot harder with them in order to get a good cut.